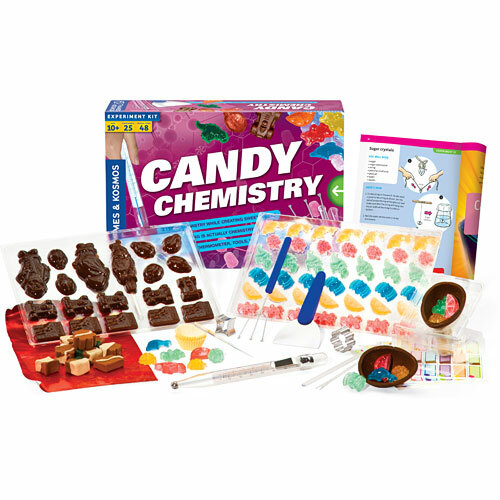 Explore chemistry as you cook up candies and chocolates in the kitchen! 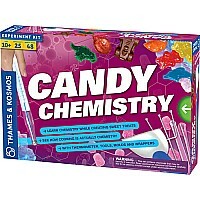 Perform a number of sweet experiments and learn important physical science principles related to candy and cooking. Discover why sugar crystallizes to make rock candy. Learn about specific heat and the phases of matter by molding chocolates. Use a thermometer and learn about heat and temperature while boiling sugar. Gain experience with measurements and conversions, volumes, and weights. Investigate the chemistry of gummy bears. 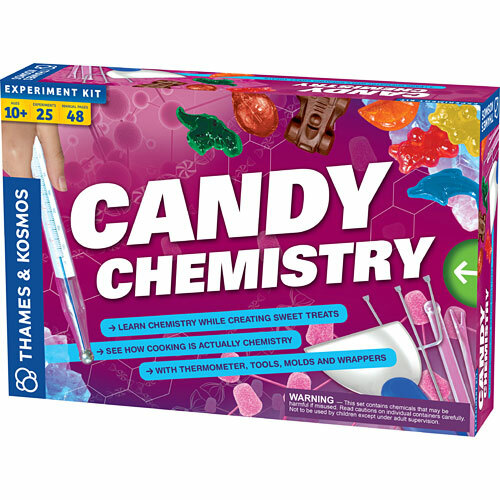 Learn about the mysterious phenomenon of triboluminescence with wintergreen candies. 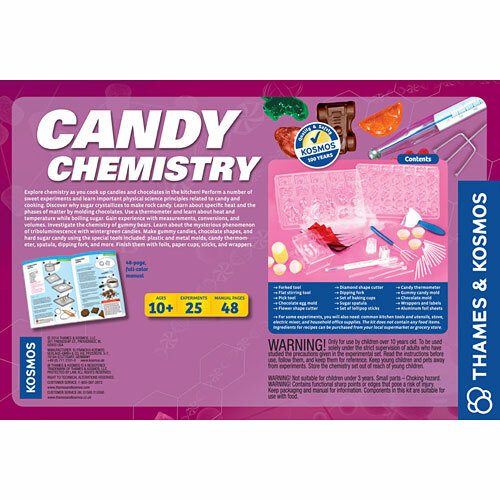 Make gummy candies, chocolate shapes, and hard sugar candy using the special tools included: plastic and metal molds, candy thermometer, spatula, dipping fork, and more. Finish them with foils, paper cups, sticks, and wrappers. The 48-page, full-color manual provides instructions and explanations. 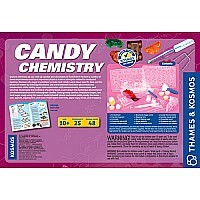 Does not contain hazardous chemicals or food items; you supply the safe ingredients from your kitchen. Measures approximately: 13.10 x 2.60 x 8.90 inches..